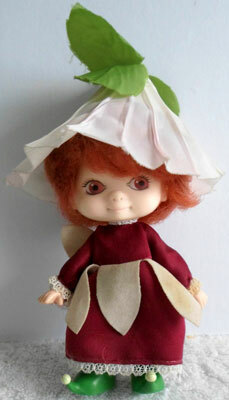 "The loveable cherub with the great big flower bonnet." 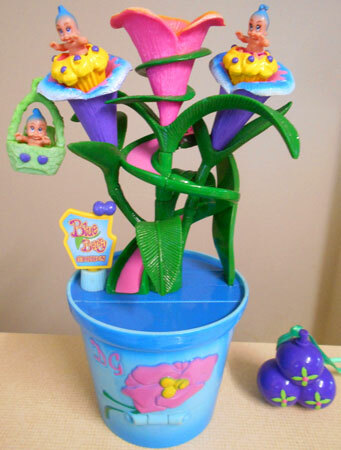 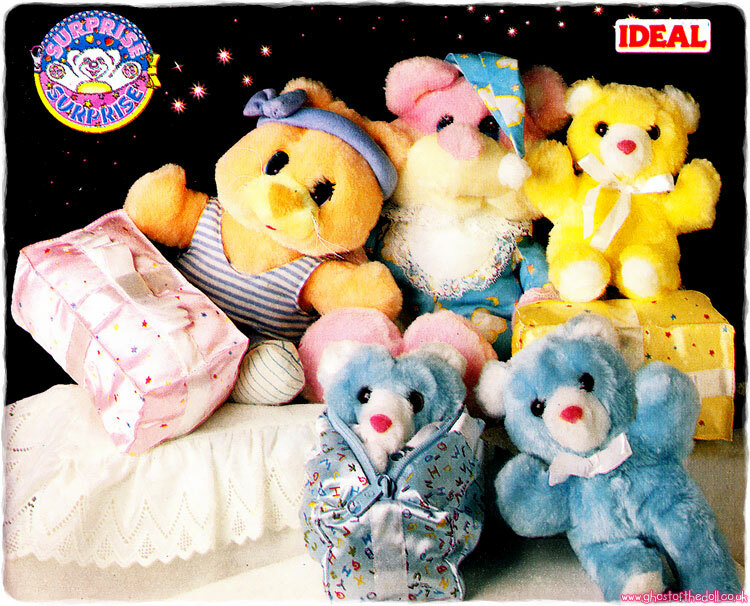 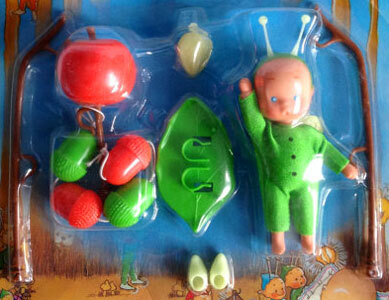 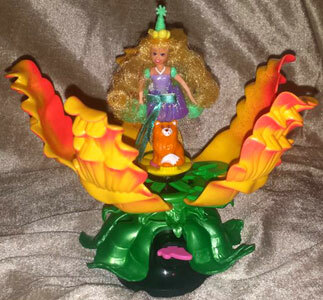 Baby Petals were produced by Fun World. 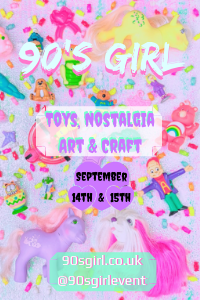 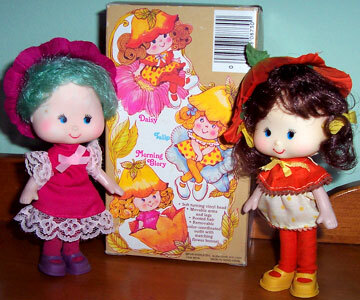 I don't know from when as unfortunatly neither the box nor the dolls have a date on, but would go for mid 1980's. 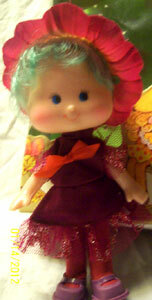 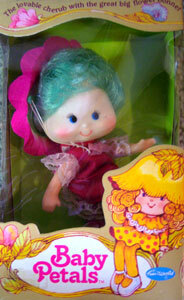 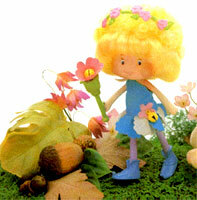 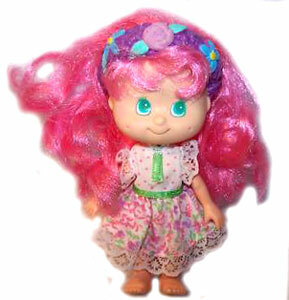 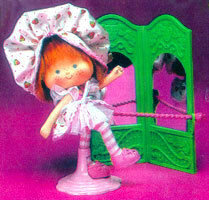 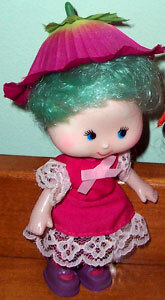 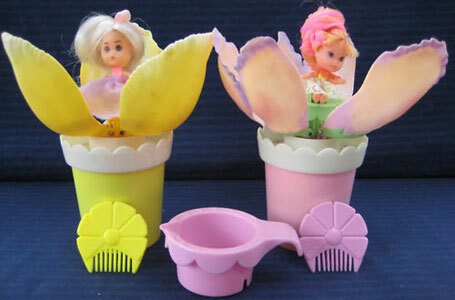 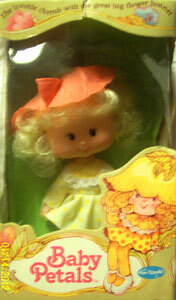 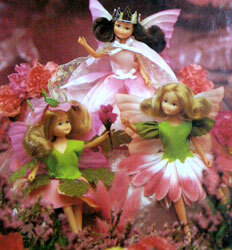 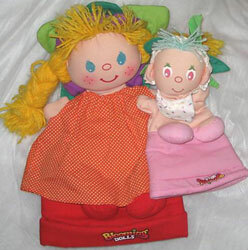 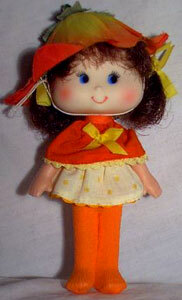 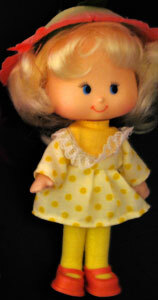 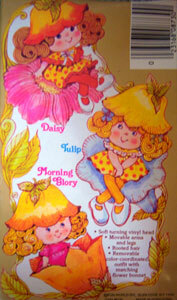 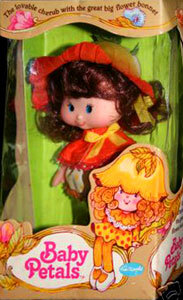 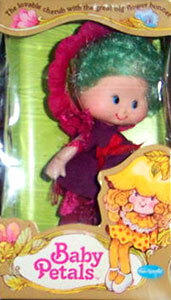 They were a small line of flower themed dolls, very similar to Strawberry Shortcake in size and stature. 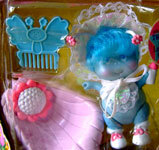 Images on this page thanks to Veronica, Veni Vidi Dolli, NovemberBlue, Granny's Cupboard and eBay seller ladysilvermoon2005 ! 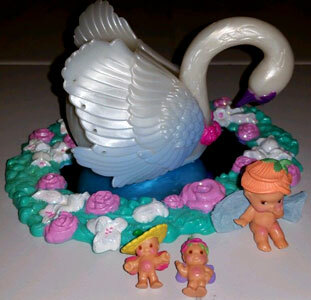 View all Baby Petals on eBay.com or eBay.co.uk ! 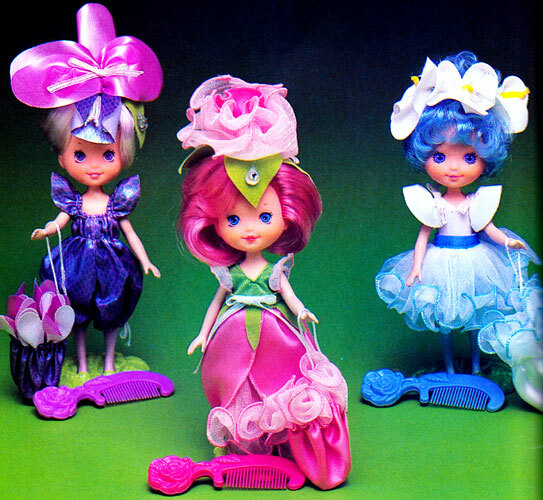 There were three dolls produced, with two subtle variations of at least two of the dolls when it comes to clothing. 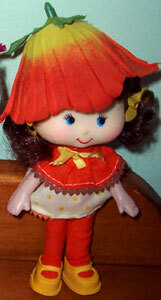 Each had moveable arms, legs and head, brushable hair and removeable clothing (shoes, tights, dress and hat).